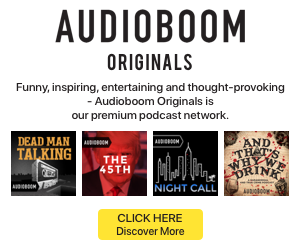 On-demand audio platform audioBoom has been chosen by the producers of hit podcast Undisclosed to exclusively represent the show in an exclusive premium ad sales agreement. The completed first season of Undisclosed generated over 80-million listens. Undisclosed examines possible wrongful convictions. The first season dove into the Adnan Syed case, first investigated by Serial, the This American Life spinoff widely credited with bringing awareness of podcasting to a large new audience. Undisclosed is produced weekly, with supplementary “Addendum” programs following each main episode. The addendum episode feature Emmy Award-winning actor Jon Cryer (Two and a Half Men). Undisclosed and audioBoom worked together in a more lightweight fashion during the first season, with audioBoom providing publishing, distribution, and some production assistance. Dennis Robinson, Executive Producer of Undisclosed, told RAIN News that the show started with modest technology resources — basically a microphone and freeware audio editing software. The second season will be enhanced by significantly more production tools, which will enable remote recording and more audio gloss generally. The second season will launch July 11. The case under scrutiny is, well, undisclosed, but will focus on “a murder conviction that never should have happened,” said Susan Simpson, an attorney and co-host of the show.